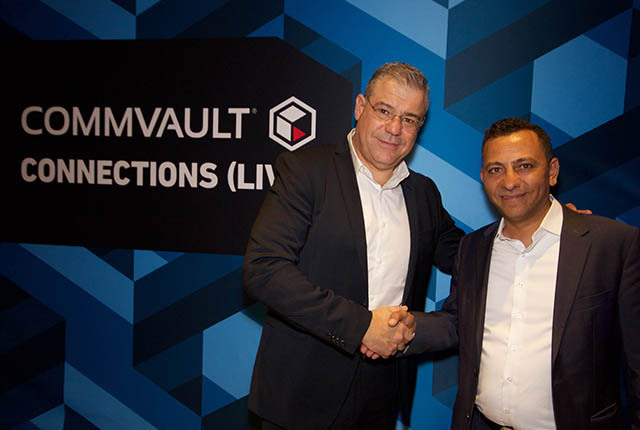 Commvault, global leader in enterprise backup, recovery, data management and the cloud, hosted its first South African ‘Connections Live’ customer and partner event at the Hyatt Regency in Rosebank on Thursday 30th August 2018 – a sign of Commvault’s on-going commitment to cultivating the local market. Led by technology expert and master of ceremonies, Aki Anastasiou, a variety of guest speakers including a panel discussion with Dimension Data, Microsoft and HPE, discussed the impact of data on digital transformation, cloud uptake in South Africa, and Commvault’s new, simplified product portfolio and partner offerings. The panel discussion specifically highlighted the current obstacles to cloud migration in South Africa and reached a consensus that the pending establishment of local presences by major cloud providers is likely to fast track cloud adoption in the near future. Commvault took the opportunity to reinforce its newly announced, greatly simplified partner engagement model which ensures that market leading data backup and recovery solutions are available with increased scalability, and with greater cost efficiency. Commvault also outlined its new pricing models and partner focused commercial options, providing greater flexibility for subscription consumption, streamlining and increasing the opportunity for as-a-service offerings. Commvault also used the event to outline more details of the features and functionality offered by its recently launched HyperScale Software and HyperScale Appliance, which deliver benefits of unparalleled scalability, increased agility and modular capacity options for businesses of all sizes. “South Africa is a mature market and an important one for Commvault. We will continue to invest in building our local presence and hosting many more events like this one going forward. We had a terrific turn out and are grateful to our partners, customers and hosts for a successful, engaging and rewarding experience,” concludes Mustafa. The event concluded with a channel focused presentation and an awards ceremony which recognized key partners that had significantly increased their business using Commvault offerings and those partners’ critical contributions to Commvault’s growth in South Africa. Distributor of the Year: Pinnacle. Coastal Partner of the Year: Data Sciences. Commvault Advantage Award: Ubuntu Technologies and Data Guardian.